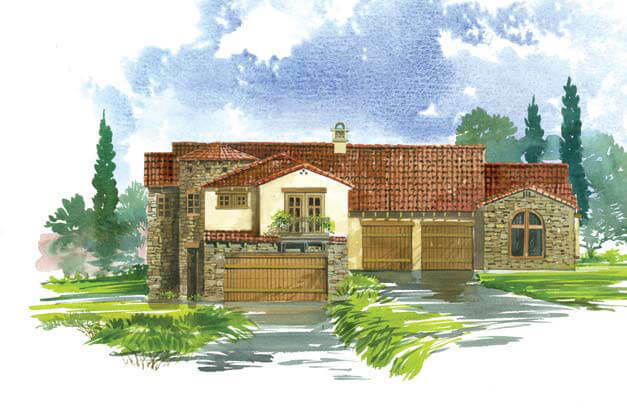 This three-bedroom, two-and-a-half-bath plan features a Great Room with an optional two-story stone fireplace, a secondary dining or game area, an optional circular turret extending from the entry to a second-story loft and a Master Suite with his and hers walk-in closets. 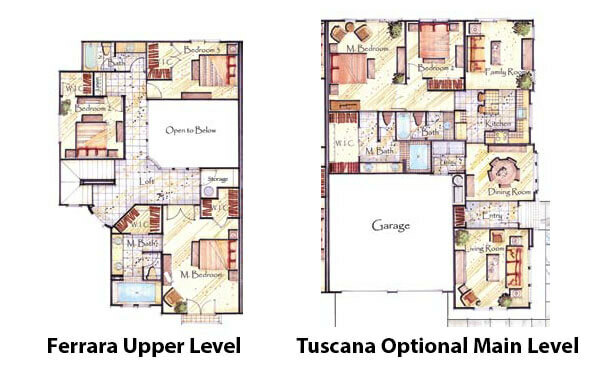 This three-bedroom, two-bath plan is designed for complete one-level living. 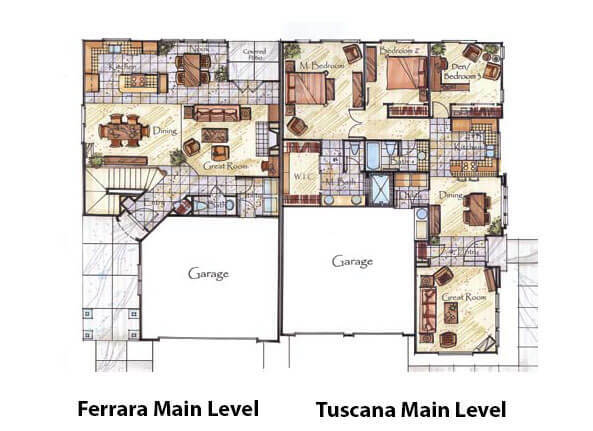 Enjoy a large Master Suite and, if desired, exchange the third bedroom for a den or family room.